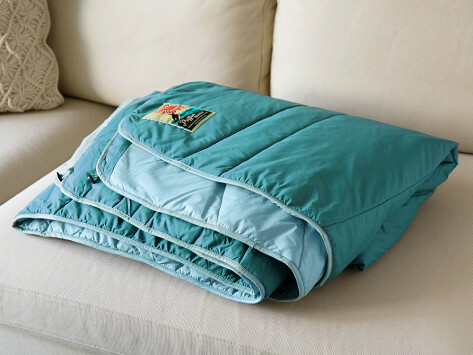 This built-tough outdoor blanket can handle adventures—or cozy snuggles on the couch. The outer shell is made of durable, water repellent rip-stop nylon that is surprisingly soft (and free of that crinkly sound). Inside is a stratofiber filling that insulates you and compresses for easy packing. The twin size blanket’s curved edge provides more coverage, and there’s a buttoned pocket to keep toes extra toasty, too. Dimensions: 60" x 86" x 1"
I love the Blanket! 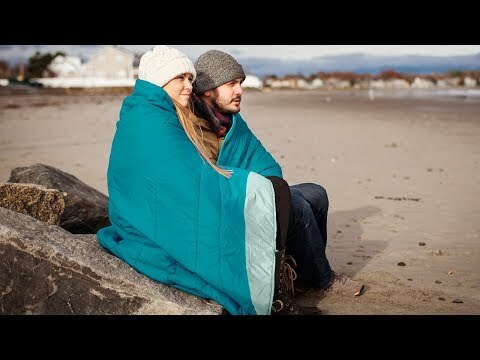 It’s soft and warm as described, but it is advertised as an in home OR a camping/beach/outdoor blanket. I purchased I purchased it for camping. The washing instructions are RIDICULOUS!! Spot clean with non-detergent soap or in warm water in a front loading machine ONLY. Lay flat to dry!! Do not dry clean! How is this practical for outdoor use? It need to be machine washable (in any machine) and machine dry-able! !